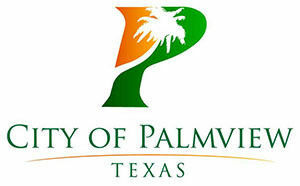 Another one of the city of Palmview’s departments has been suspended and under review, this time by the state Attorney General’s office. The Crime Victims’ Liaison program was suspended this week by the AG’s office after funds for the program, which are meant to be deposited in the general fund, were deposited in the federal asset forfeiture program account, according to interim City Manager Leo Olivares. Olivares said state officials notified the city of the suspension on Monday and subsequently requested documents from the city the following day. The city launched the program this fiscal year and is entirely funded by the AG’s office. However, the liaison program is one among several with funds erroneously lumped into the asset forfeiture program, which is federally funded. That oversight, as well the overall mismanagement of the asset forfeiture program, led to its suspension by the Department of Justice a few weeks ago. The DOJ’s review was prompted by the city’s own internal audit, which found the program was used to pay for training and travel costs for non-law enforcement personnel. Also found were instances in which the program funds were used to reimburse the city’s general fund, and were used for expenses such as a Christmas party, gift cards and Killers Bees tickets, according to a copy of the audit obtained by The Monitor. Olivares said the city has already turned over all documents relating to the asset forfeiture program to the DOJ and now awaits to hear back.